Stourport Primary Academy follows the National Curriculum. 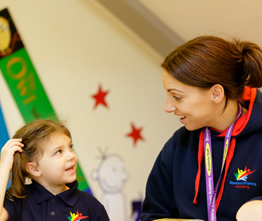 Our Curriculum, however, is unique to us, because we are continually shaping and adapting it for the diverse range of needs of the children in our care and whom make up our wonderful school. When planning our curriculum, our main aims are to promote the wider world to our pupils to ensure that they get the richest experience of a primary education before leaving us to go to high school. Teachers plan the curriculum around the needs of our children and have the freedom to adapt the curriculum in response to the children’s interests. We have a large number of staff whom have a diverse selection of skills which are regularly used to help enrich our curriculum. To help to develop well rounded individuals, SMSC is an integral part of our daily life at Stourport Primary Academy, and we are proud to strive to ensure that all our youngsters leave us with a good understanding of the importance of being the very best they can be. Our curriculum is also developed to help children to be reflective learners, and we aim for all our children to develop resilience and spirit in their learning. Staff continually encourage resourcefulness, resilience and reflection in all that we do. Our school values – Explore, Deam, Discover and Achieve, are integral to our curriculum. As a school we understand that these values must be at the heart of everything we do, because these will shape the kinds of people our children turn out to be. We know that their values and learning skills will be the key as to whether they can make the best of their learning in the future. Our school values, which we agreed upon together at our school development planning day with parents, governors and pupils, underpin all learning at school as they form our attitudes towards learning and each other. As well as our full and rich curriculum, Stourport Primary Academy has an exciting and rich extra-curricular programme, which is delivered by teaching staff, LSAs and volunteers. Children are given the opportunity to experience activities such as Trampolining, Wood-work, Crafts, Cookery and Japanese. 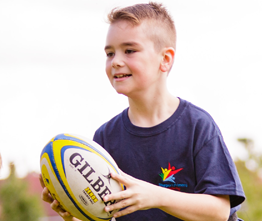 There is an expectation that all children will take up at least one extra-curricular activity during a school year, and we strive to achieve this, as the school recognises that it is these opportunities that help to enrich our youngster’s life experiences and helps to open their eyes to opportunities which they may not get outside of school. You can view our previous Curriculum History by Clicking Here. 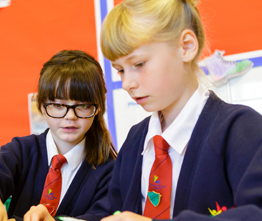 You can view the National Curriculum for England by Clicking Here. At Stourport Primary Academy staff follow the White Rose Maths planning model to deliver the Maths Curriculum. To see the yearly overviews of what is being taught in maths in each year group please Click Here. Staff at Stourport Primary Academy track progression of skills in the foundation subjects using Gareth Webb’s subject skills progression maps. You can view these by Clicking Here. For more information on Gareth Webb, click here to be taken to his website. Stourport Primary Academy has audited it’s SMSC (Spiritual, Moral, Social and Cultural) provision across all phases. To see our Audit please click here. You can view the SMSC for each individual subject by Clicking Here. Stourport Primary Academy uses the Worcestershire Agreed R.E. Syllabus for 2015 -20 provided by RE Today Services. For more information please Click Here. You can view our Broader Curriculum overview by Clicking Here. You can view our P.S.H.E. overview for the year by Clicking Here. In Key Stage 1 we use the following Phonics Schemes:- Letters & Sounds, Jolly Phonics and Phonics Play. We also use the following Reading Schemes:- Oxford Reading Tree and Bug Club. Phonics is taught daily throughout Rainbow (Reception Class) and Key Stage 1. In Rainbow, children learn Phase 2 and Phase 3 sounds and in Year 1 they learn Phase 5. Children are also taught tricky words. These are words that can not be phonically spelt. 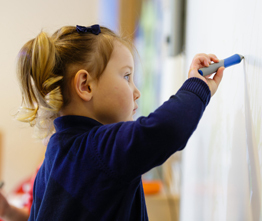 In June, every child in Year 1 in England takes their Phonics Screening Test. The checks consist of 40 words and non-words that your child will be asked to read one-on-one with a teacher they know well. Non-words (or nonsense words, or pseudo words) are a collection of letters that will follow phonics rules your child has been taught, but don’t mean anything – your child will need to read these with the correct sounds to show that they understand the phonics rules behind them. The 40 words and non-words are divided into two sections – one with simple word structures of three or four letters and one with more complex word structures of five or six letters. To see what we do in regard to Online Safety click here to be taken to our Online Safety section. To view policies that relate to the National Curriculum please click on them below. Planned residential trips for pupils of Stourport Primary Academy.